I was brought to flower remedies through trauma. I never expected it to be the life altering plan for my future. We know plants and flowers bring beauty, but I would have never believed that it can have such a powerful effect on our mental and emotional health as well. It took me from the depths of anxiety and sadness and brought me back to who I am, no more anxiety or sadness and found my purpose. Everyone needs to have a purpose in their life. That is when I knew I had to learn more and tell others – especially moms to “Go Beyond What We Know,” that we do have the power, and the resources to take control of our family’s mental health. It all makes perfect sense doesn’t it? If we have been given all we need for food, for shelter, why wouldn’t we be given a source for mental health as well from our amazing earth? When you incorporate a given “diagnosis” with what we inherit from family, environmental effects, trauma from before birth, and all the unknowns, it feels like it does take a village! When I work with a client, many share their doctors’ “diagnosis” with me. The way I work and the way you will work with this book is by looking at each symptom individually, if there is a known cause, then find the right remedy blend using different remedies. This plan works whether you feel it’s a symptom related to “autism” or not. I am sure that not only does your child on the spectrum have behaviors that you would like to see reversed, but also your other children, or you, or your partner. No one gets to go through this life untouched by trauma or challenges and happy every moment in life. 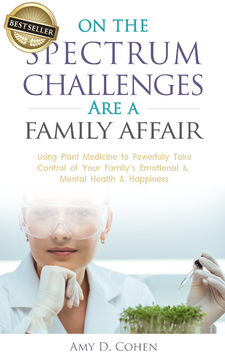 My goal with this book is to help you rejuvenate your mind, body, and spirit and that of your family using plant medicine (aka “flower remedies”). Most will see and feel positive thoughts, and notice positive enhancements in your relationships, in your family, and in your home in a very short time, once your begin using the flower remedies. They will help bring out your personal best, bringing the feeling of contentment. It brings you back to the true person you were before the negative thoughts, feelings and behaviors found their way inside your mind. You’ve found ways to help yourself and your child physically. This is the missing piece, a powerful piece, to move you and your family back to harmony. You will see the amazing transformations in the many videos we have on our site or on YouTube, where clients discuss their struggles with intense anxiousness, sadness, feeling stuck, child behavior challenges, simple confidence, bedwetting, tantrums, grief, even assault. You will see just how my clients, many coming to me when traditional medicine did not help, used these flower remedies to return to their positive selves. I am consistently amazed at the power of the flowers! Although the power of flower remedies is not well known throughout the U.S., they are used as a part of daily life throughout Europe, and in the hospitals of Brazil. I am working hard to educate and teach people all over the U.S. the power of using these extracts to help stay in a positive state of mind, or return back to it when moved out of balance. I also teach this healing modality in a course specializing in emotional and mental wellness. The goal is to help raise awareness on their intense health benefit and make this an intellectually accepted healing modality. What flower remedies do is bring out the most positive person you are, the true person you are. They take you from feeling scared (imbalanced) to empowered and courageous (balanced): not because it’s changing your personality but because it is who you truly are! Take the stories in this book seriously, get excited about where the remedies can take you, and be ready to move forward, helping you and your family feel positive, peaceful, joyful, and content. Use this book as your guide. The goal is to help you choose the correct flower remedies to reverse specific negative challenges that affect you, your child, and your family, and if you choose wrong, you just won’t notice a difference. What are flower remedies? They are extracts created by plants and flowers. They have no scent, they are liquids created through the plant, water and energy, the heat and power of the sun. It is “energy healing, energy medicine” and scientists are learning more about energy medicine and how it affects our body’s health and wellness. There is plenty to read on this subject. When I teach others to become Practitioners specializing in emotional health and wellness, these are some of the brands of remedies they will be using. If you interested in learning more about this, send an email to amycohen@StrongestMinds.com to learn how you can become part of the alternative health movement and community specializing in emotional & mental health and wellness. 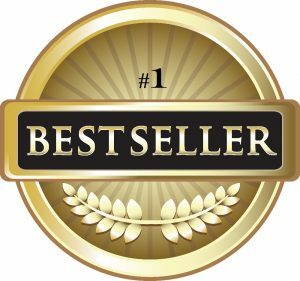 The first client story I share with you in the book was also my very first client. It was a true eye-opener and WOW moment and a sign I needed to learn more! I share her story with you, in her words, to see how she helped me to see that these remedies were bigger than all of us and God had a plan much bigger than we can see – and that is to get this out to you.